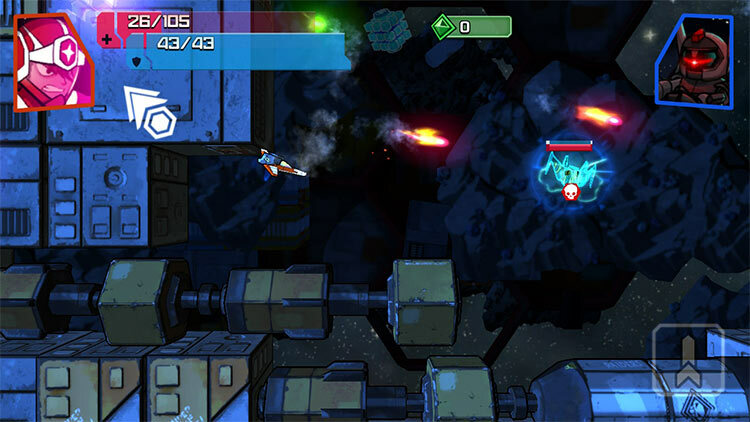 By taking the freemium route developer 17-Bit Studios has been forced to introduce timers which can be overridden by spending actual cash, but these are thoughtfully deployed and even if you do decide to dig deep in your pocket, you'll still need considerable shooting skills to overcome the increasingly stern - if somewhat repetitive - challenge. 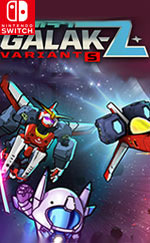 GALAK-Z: Variant S leaves me confused about who the audience is for this game and if this is a business model that we will see invade the Switch. 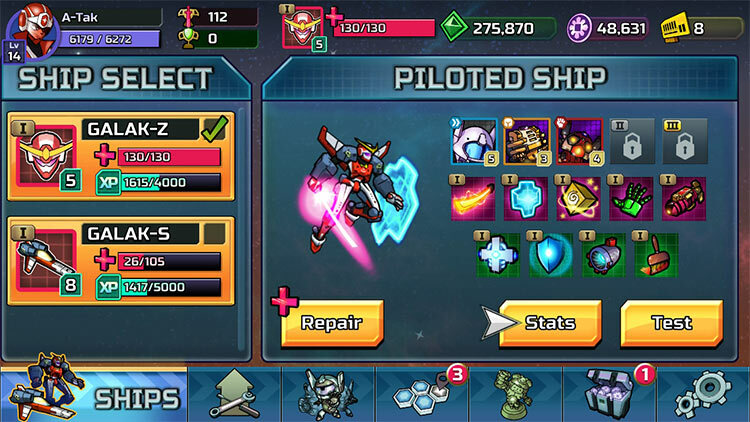 I wanted a good mecha game and ended up with something that plays really well and encourages creativity with Bot combinations, but that acts like my mom after watching an episode of Gundam Wing: pushes me to turn it off and do something better with my time. It’s a fun experience marred by the plethora of freemium/pay-to-progress options that are in the game. The argument can be made that you don’t have to and that you can get Crash Coins in-game, but the fact that the option is there on a console is such a weird, unsettling choice to me. 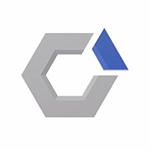 You also receive a certain amount of these currencies (Salvage, Crash Coins, Bot Parts), but it’s not a whole lot of that. It’s a tease. But beyond that, I did enjoy the actual gameplay. Essentially most of the experience ends up feeling like a grindfest, and how much grinding you have to go through depends on how much money you care to spend. If that wasn’t enough, the developer tracks and stores your gameplay data, IP address and any interactions you have with customer support. 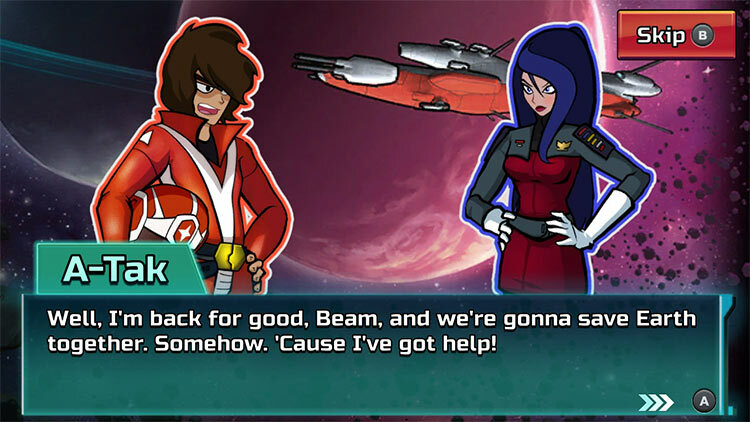 Galak-Z may not have the most jaw-dropping storyline or complex gameplay, but it is still greatly worth the playthrough — especially since it comes at no charge to you. It’s entertaining, fun and lighthearted, making it the perfect title to pick up from time to time or to play after a long day when the mind just wants to rest. It does not shock in terms of musical score or general depth, but for a free-to-play title that doesn’t bombard you with paid content, it offers a light and promising experience. 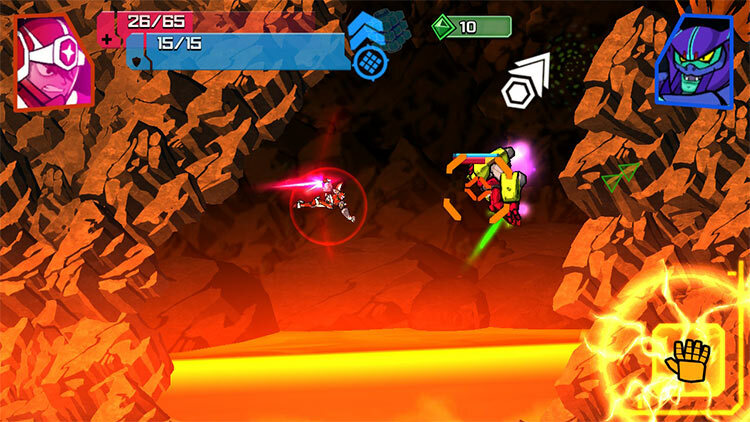 Galak-Z: Variant S just feels a bit soulless, as someone who has played the original. 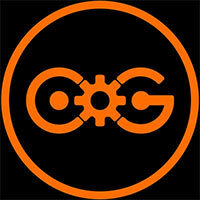 Where that game was sleek and well designed, this feels basic and haphazard. The Switch would have been far better served by a port of the first game, and when you add microtransactions into the mix you get a spoiled experience and a somewhat tainted memory of a better time for the series. The only time I could come to a complete stop is when I crashed into part of the map that did not contain a hazard, like ice skating but using the boards to stop and not my skates. While I did enjoy the game, the more missions and challenges I completed, the more repetitive they felt even though they involved different tasks. L'alto grado di difficoltà riporta alla mente le tantissime imprecazioni lanciate ai tempi dell'uscita su PC e PlayStation 4, ma alcune semplificazioni e un approccio meno spietato (le missioni, alla fine dei conti, sono molto brevi e tendenzialmente ripetitive) fanno perdere un po' di mordente al gameplay, tuttavia ancora ben ancorato all'ostico sistema inerziale che regola i movimenti del nostro veicolo.